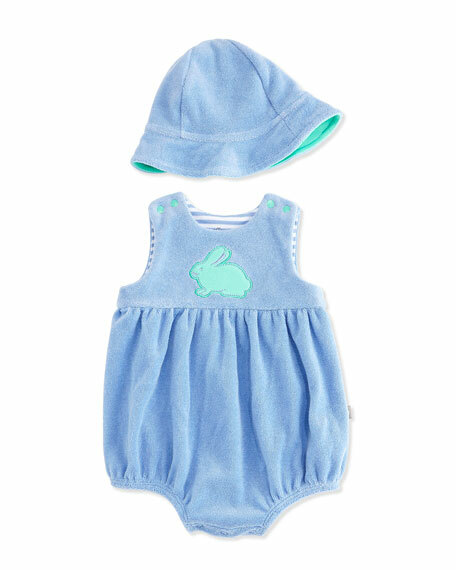 Offspring two-piece set in terry cloth. Round neckline; snaps at sides. Offspring is a modern newborn clothing company recognized for its vibrant colors and unique prints. Playful and comfortable everyday wear, Offspring footies, shortalls, and layette sets are for those who want to introduce whimsy and creativity into baby's first wardrobe.